Well, you may be upset with the latest iPhone 7, which has been released few months ago. Besides the super expensive price tag, the possibility of losing your headphone is much bigger in this iPhone edition. Well, I’m not saying, at least the report says so. But the good thing is, you can’t expect the same issues in the upcoming iPhone, which rumored will be named as iPhone 8. What else if it’s not because this year would be the special year for the company. So, let’s find out how the iPhone 8 rumors describe this front-runner gadget from Apple. Yes, it’s 2017, and it’s Apple’s 10th anniversary. So obviously, they will make everything as special as the event, including for the brand new iPhone. So, how this new Apple’s creation looks like? No one has ever known actually, except the Board member of Apple. But here it is, we’ve collected the popular iPhone 8 rumors that may be helpful to predict how the upcoming iPhone would possibly look like. Listed as the most anticipated device this year, Apple’s new iPhone has made big suppositions around the globe. And it’s not difficult to find upcoming iPhone 8 rumors information on the internet. Latest news said that Apple has been testing more than 10 prototypes of new iPhone. It seems like the company is being so serious on this special year’s edition. More than that, new radical design, Wireless Charging, new OLED Display, and new Touch ID features, are also mentioned. Technically, they are just few updates that are rumored to be applied in the new member of iPhone family. So, what else? 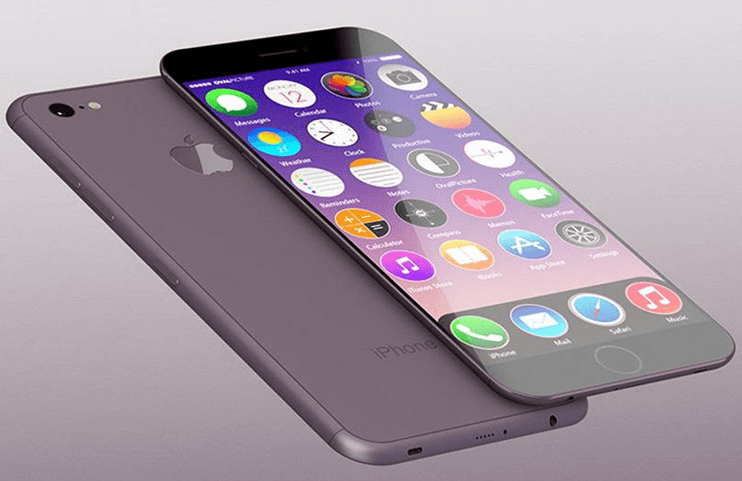 To answer your curiosity toward this brand new killer, here are few popular rumors of iPhone 8. Design plays a big role in bringing iPhone to the top. Even if the full touchscreen display is not something new back to the date of first iPhone release, but Steve Jobs has been so successful in making it so iconic. That’s why iPhone has been the most recognizable smartphone with its simple and elegant design. So, it seems not fair if we talk about Apple iPhone 8 rumors without talking the prediction of its design. First thing first it’s about the size. May experts predict that the new Apple iPhone device will have several different sizes and different material combination. Of course, it will decide the price of the device. Mac Otakara, one of Japanese sites claim that Apple is supposedly to offer 4.7 and 5.5 inch Apple iPhone 8. Another rumor from Barcklay Research said that Apple is preparing 5 and 5.8 inches iPhone 8. While for the materials used, it still becomes a debate whether Apple will use aluminum, stainless, glass, or the combination of them. However, a popular report by Ming Chi Kuo, a KGI securities Analyst, stated that the new iPhone 8 device will adopt full-glass enclosure concept. This rumor is also supported by the latest announcement of Synaptics. On December, the company opened up their new Fingerprint Sensor technology, that is strongly believe to be used in new Apple smartphone device. This is a biometric technology that can go through passing the glass layer so it can identify the fingerprint friction on the glass surface. If this rumor is true, then aluminum or stainless chassis can still be an alternative. The combination of two glass panels and metal bezel will result on strong body architecture. More than that, some new colors (Apple is supposedly to prepare a red-colored iPhone) could possibly available in the new iPhone. And also, some iPhone 8 rumors said that water resistance is possibly added in the new iPhone device. One of the biggest iPhone 8 rumors is about the display that Apple wants to apply in their new flagship. Some Medias such as Bloomberg and Wall Street Journal has reported that Apple will use OLED panels as the iPhone 8 screen. Samsung is the one that is rumored to become the supplier for this Apple’s 5.8 inches OLED panels. The choice landed to the South Korea giant electronic since the other OLED manufacturers such as Japan Display, AU Optronics, and Sharp is not ready to support at least until 2018. The choice of using OLED display is due to its lower power consumption, better contrast ratio, and faster response. Another big reason is also on its flexibility, allowing Apple to make their new flagship to have curved edge in both sides. However, the rumor about iPhone 8’s curved sides is still under the debate. But, regardless of having 2 curved sides, 1 curved side, or no curved side at all, OLED screen offers more functionality. It has more colors, and the viewing angles are much better than any other screens. Moreover, OLED screen also needs less backlight, which will affect on the reduced thickness of the device. There is no further confirmation regarding to the processor that will be planted on Apple iPhone 8. But, base on the latest iPhone 8 rumors, the flagship will use the new A11 chip. This chip is revealed on the report of TSMC that started to tape out the chip’s design. Built under 10-nanometer process, this is signaling that the chip will have smaller size. But, as usual the new chip will have better performance and lower power consumption. By using this processor, the possibility of Apple’s new device to be thinner with longer battery life seems to be real. The present of wireless charging in the upcoming Apple’s smartphone is one of the popular iPhone rumors in line. This rumor is strengthened by the fact that Foxconn, the one who assembles iPhone device, is now testing new wireless charging module. Besides, a Taiwanese company that specialized on making fast wireless charging component in now listed in the Apple’s supply chain companies. If this rumor is true, then it really makes sense why Apple aimed to go all-glass casing in the first place. Read further information about wireless charging in this link. Besides the rumor above, Apple is also rumored to have better camera, Face recognition sensor, bigger storage, and many more. And because this is a special year for Apple, apparently the company is ready to make a big jump from the previous flagship. And one thing for certain, the new iPhone 8 will be the most anticipated device that supposedly released around November. While for the pricing, it seems too early to talk about price. But, remembering that the it has more features offered, the price must be higher than any iPhone edition before.